If you’re planning to join CVEarthlab in the community room Wed eve, you’ll need empty soda/water/gatorade bottles (1.5 to 2 liter work best) as well as potting soil. Organic potting soil is preferred for anything edible you may transplant into CV’s raised beds. We’ll supply organic, no n-GMO seeds plus wicking and labeling material. Wednesday’s event takes place in the community room from 6:30 to8pm. RSVP to cvearthlab@gmail.com by Monday 2/22. Learn more about planting in self-watering containers here. Thanks! All CV residents are welcome to become members of the 2016 communal garden. We ask that members donate $25 per household plus contribute time and muscle watering and maintaining the space this season. Checks can be made to CVOI* and left in the office or picked up from your doorman. Contact cvearthlab@gmail.com or come to the event to learn more. Why join? The season lasts from March to October, even November, and you’ll enjoy the friendly, community spirit plus fresh flowers, herbs and veggies from late spring to late autumn. Last year we were picking basil, parsley, sage and ground cherries, kale and bush beans well after Halloween! 2016 is going to be a great year for the garden–join us! On Sunday Deb, Denise, Benji & Mike drove to the Gowanus Canal Conservancy’s Compost & Plant Sale. We got: 10 (.75 cubic ft) bags of compost; 3 pots of little blue stem grass; 4 pots of switch grass; 1 trumpet honeysuckle seedling; 2 Mountain Mint seedlings and 6 bags of free wood chips (the most we could schlepp). Cost of the car rental and materials was $265. 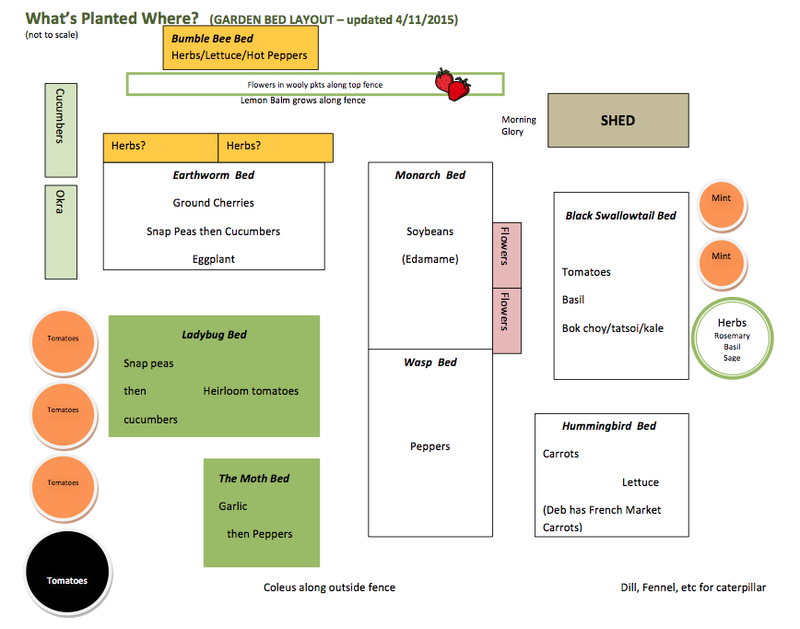 If you haven’t yet contributed to the CV Garden Annual Fundraiser, now is a great time! We’re collecting money through the end of October. You can leave cash or checks (made out to CVOI) with the office in 215 Adams or with Deb Van Wetering’s doorman (225 Adams). All garden members are asked to contribute 3 bags of mulch/wood chips, which help the plants and the soil but also acts as child safety surfacing. You can pick up free wood chips from Greenwood Cemetery or buy bagged wood chips from Bruno’s Home Center (on Court St.) or Lowes and have them delivered. While we hope that management will bring in a wood chipper after Christmas for a CV mulch fest, mulch is needed year round. Thank you.